Woodstock Floors is a Pretoria-based commercial flooring supply and installation company that is quickly becoming the go-to company for many architects and designers. Albie Maree, owner of Woodstock Floors says attention to detail and integrity are some of the principles that can be attributed to his company’s success of late. “As a commercial flooring consultant, we don’t simply supply laminate flooring, carpeting or any other flooring material, we make sure that the client is getting the right product for the required application. This means that we have a vested interest in the success of our clients’ projects,” says Albie. To achieve this, Albie and his team go through the process of understanding their client’s expectations before making any recommendations. Technical expertise, product knowledge, guidance with regards to surface preparation and always delivering on promises go hand-in-hand with the professional integrity that architects and designers have come to expect from Woodstock Floors. 1. Preparation of the sub-surface, which prevents 90% of all flooring-related problems. 2. Understanding the expansion properties of each product in relation to both moisture and temperature. “When consulting for Architects and Interior designers we use our practical knowledge and experience to ensure that the designer is aware of the pitfalls that need to be avoided during installation”. Our team goes above and beyond to make sure our clients have all the information they need to get the results they are looking for,” explains Albie. Since its inception in 2011, Woodstock Floors has undertaken a number of projects across South Africa. While the company mainly focuses on projects in Pretoria and Johannesburg North, they have also been involved in a variety of projects in other areas, including Klerksdorp, Rooiberg and Dullstroom. 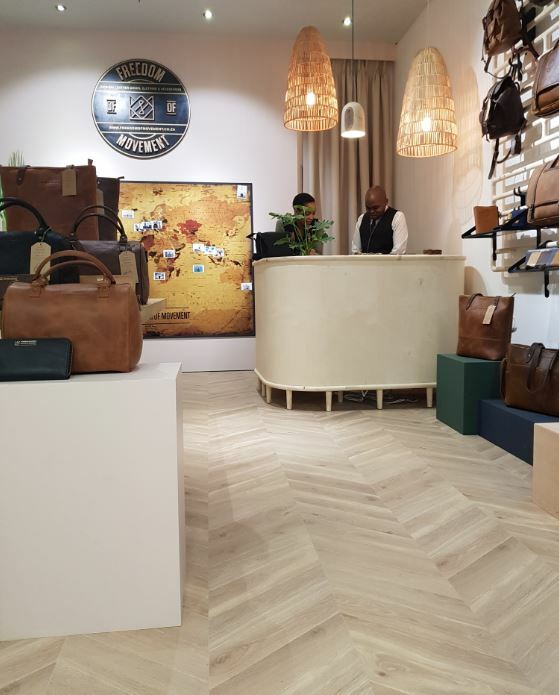 Recent projects that the company is particular proud of include a new showroom for Westvaal Motors, the new Freedom of Movement store in Menlyn Shopping Centre, as well as two residential projects for CJ van der Merwe Construction in Cornwall Hill, which involved the installation of engineered wood, teak parquet, laminate flooring and carpeting. “We enjoy working on all of the projects that we consult on. We are involved in every part of the project, from the initial measurements to the final inspection. Our consultants are renowned for their attention to detail, which makes it particularly satisfying to see a project come to life,” concludes Albie. For more information, contact Woodstock Floors on Tel: +27 (12) 460 4464 or via www.woodstockfloors.co.za.